There is more behind Labyrinth’s food than meets the eye. 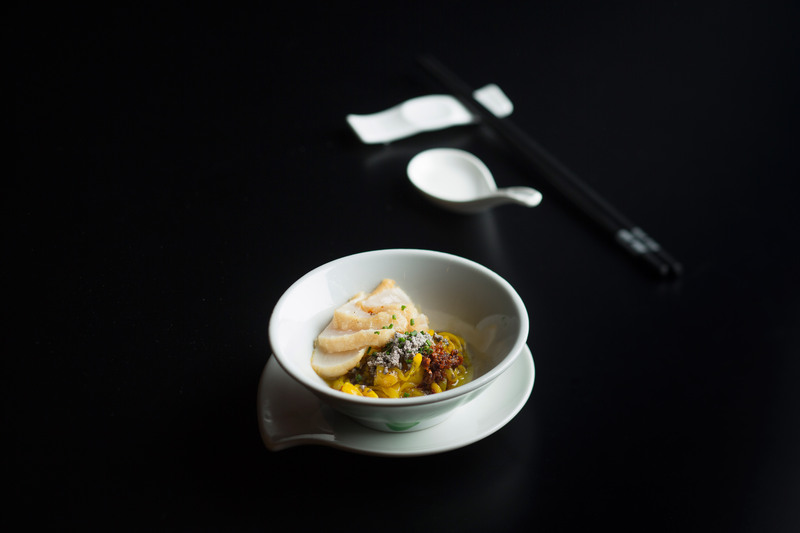 Doyenne.sg digs deeper into Chef-Owner Han Liguang’s process of deconstructing local cuisine and elevating it to the next level. Labyrinth is a place unlike any other. Nestled in a cosy corner at The Esplanade, the interior is accented with vintage vibes, its menus come in the form of old-style exercise books, and their food are very similar to what we see in hawker centres. At first puzzling glance, each course mimics the form (and smell!) of local favourites like chicken rice, nasi lemak, beef rendang… yet, fine-dining? When you take a bite into the first course, an explosion of familiar flavours hit your tastebuds, then a sequence of unfamiliar textures and intricate details follow. 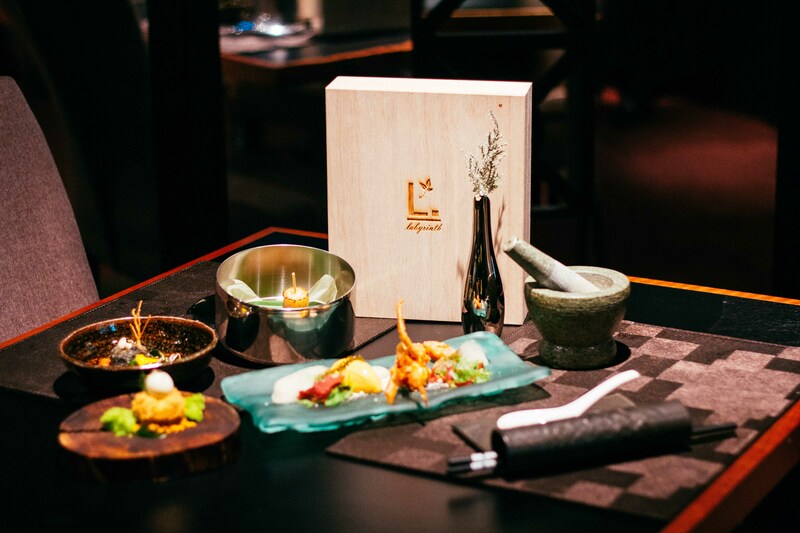 As you continue, you’ll realise that the distinct flavour profile of each Singaporean dish has been extracted and then reconstructed using high-end, gourmet ingredients – this is what Labyrinth does best. 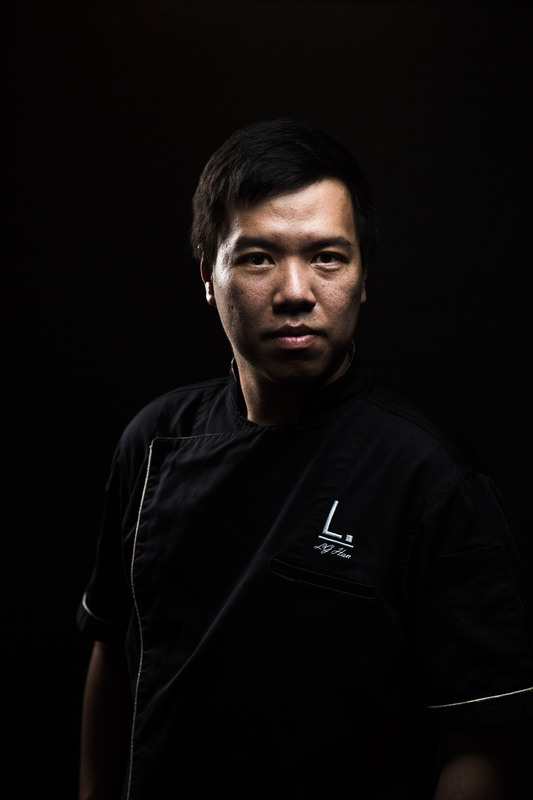 Behind the food and business is a humble, thoughtful man – Chef Han Liguang, who was previously from the banking industry. His extensive contacts within the culinary industry enabled him to take a leap into the food and beverage industry. He found his calling in Neo-Singaporean cuisine, and now innovates on the foods we’ve all come to know and love. Our first example and personal favourite, is bak chor mee (served as a “breakfast” course). You’re probably thinking “it looks exactly like that $4 bowl from Newton circus”, but no! The noodles are actually stringed out of squid and the fish cakes are springy chunks of fresh Hokkaido scallop. A small dose of sambal chilli (made in-house) packs the same flavour as an entire bowl of mee pok, and dissipates into layers of umami aftertaste. This is one essential Singaporean dish that comes out resembling that of a glutinous rice ball, but is in fact made entirely of lardo (black pig fat). The rice in a plate of traditional chicken rice packs all the flavour while the actual meat doesn’t add much more to it. Imagine all that rich, fatty flavour being extracted and condensed into a bite-sized portion of soft, succulent fat – simply luxurious yet not too heavy on the palate. Contrary to what you might assume at this point, the dish is served with actual crabmeat. 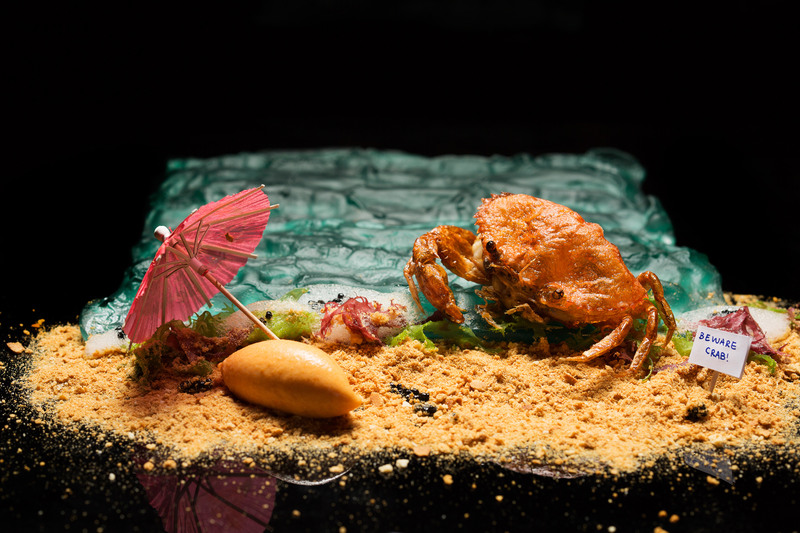 However, the star of the show is in the house-made chilli crab “ice cream”. The “ice-cream” has a creamy, sorbet-like texture but melts immediately in your mouth. The mix of sweetness, tanginess, and spiciness contains the essence of chilli crab sauce in one spoonful. The soft-shell crab meat now only serves to balance out the powerful flavour in the sauce, which is no longer the side-act but the underdog. Ten points to Labyrinth! Chef Han admits that perfecting these reinventions comes with years of painstaking experimentation. For example, he starts off by learning how to actually make a fantastic rendang, because only then can he create something new out of its essence. “To determine how much gravy is needed for a perfect rendang, it is imperative that we grind it out in the kitchen for the perfect recipe. If you’re not the boss’ son, it is almost certain that he will not pass down his recipe to you,” says Chef Han. Singaporeans have an innate ability to differentiate good from bad local food. When something doesn’t taste right, certain proportions have to be tweaked. However, his hunger for continual improvement and innovation isn’t only apparent in the kitchen alone. Chef Han also finds time to travel to places like the Philippines to observe cultures of various cuisines, discover new ingredients and methods of cooking that can be adopted back home. “We want to continue innovating. Status quo is never good enough,” he confidently states too. 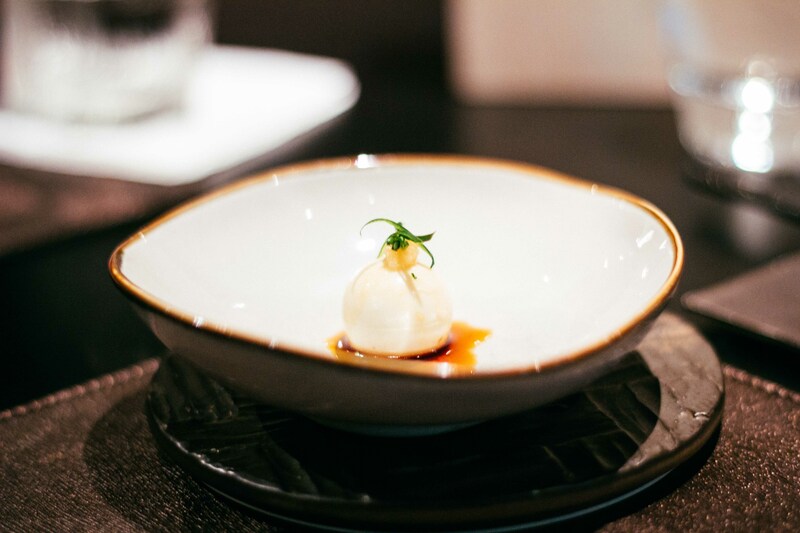 The chilli crab “ice-cream” alone took four years to be merely passable to be on the menu. It requires much perseverance to repeatedly attempt the same recipe, making only minute changes each turn until the dish is spot-on. “There is a myriad of considerations for each dish, the ingredients, freshness, cut of meat, and cooking method. 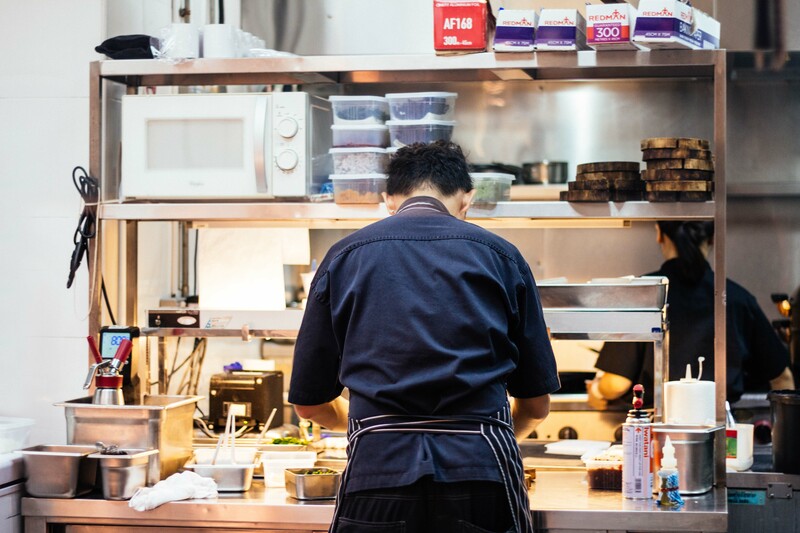 In a nutshell, every dish has its own direction to take and the individual thought process is disparate,” Chef Han explains. Till this day, he continues to revisit and refine the recipe, because to a chef it is about the relentless pursuit for perfection. “Also, one of my greatest accomplishment was progressing from a [non-culinary] background six years ago to the current stature right now. I am finally able to stand shoulder to shoulder with all the other giants of the culinary world not only in Singapore but overseas as well,” he continues. He continues to work toward greater success for Labyrinth and his team. Expect the menus to keep changing; Chef Han will always surprise you with something new!